'Godzilla: King of the Monsters' Trailer Unveiled - Watch Now! 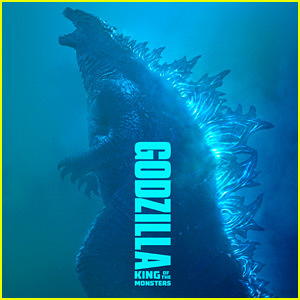 A new trailer for the highly anticipated movie Godzilla: King of the Monsters has debuted online! Millie Bobby Brown stars in the trailer alongside Vera Farmiga, Ken Watanabe, Sally Hawkins, Kyle Chandler, Bradley Whitford, Thomas Middleditch, Charles Dance, O’Shea Jackson Jr., Aisha Hinds, and Zhang Ziyi. Godzilla: King of the Monsters will hit theaters on May 31. 'Godzilla' Sequel Begins Production, Cast & Synopsis Revealed! 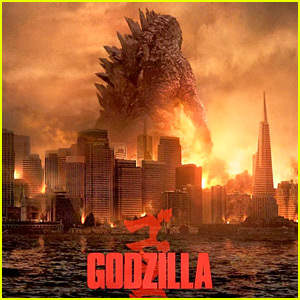 The upcoming sequel to 2014′s smash hit movie Godzilla has officially begun principal photography and Warner Bros. just confirmed the full cast and synopsis for the film. Ken Watanabe and Sally Hawkins are the only cast members from the first film who are returning for the sequel. The new additions to the cast include Vera Farmiga, Kyle Chandler, Millie Bobby Brown in her feature film debut, Thomas Middleditch, Bradley Whitford, Charles Dance, O’Shea Jackson Jr., Aisha Hinds, and Zhang Ziyi. The new story follows the heroic efforts of the crypto-zoological agency Monarch as its members face off against a battery of god-sized monsters, including the mighty Godzilla, who collides with Mothra, Rodan, and his ultimate nemesis, the three-headed King Ghidorah. When these ancient super-species�”thought to be mere myths�”rise again, they all vie for supremacy, leaving humanity’s very existence hanging in the balance. Michael Dougherty, who previously directed the Christmas-themed horror comedy Krampus, is directing the sequel. Kit Harington Premieres 'Game of Thrones Season 5' in London! Kit Harington is handsome in a suit while attending the world premiere of Game of Thrones Season 5 held at the Tower of London on Wednesday (March 18) in London, England. 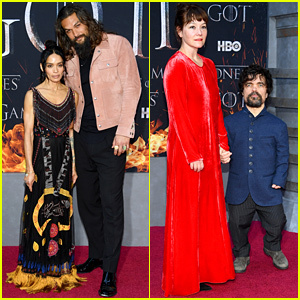 The 28-year-old English actor was joined by his co-stars Sophie Turner, Alfie Allen, Gwendoline Christie, Daniel Portman, Rosabell Laurenti-Sellers, Charles Dance, Jessica Henwick, Dean-Charles Chapman, Hannah Murray, Liam Cunningham, Richard Dormer, and Michiel Huisman. Mark your calendars, the fifth season is set to return to HBO on Sunday, April 12. We can’t wait! FYI: Liam is wearing Spencer Hart. Sophie is wearing a Marios Schwab dress. Kit is wearing Burberry. 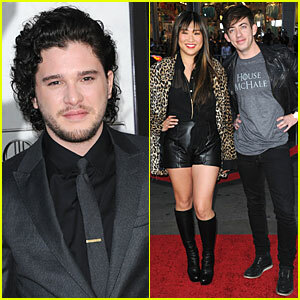 Kit Harington: 'Game of Thrones' Season 3 Premiere Party! Kit Harington suits up while attending the premiere party for the third season of his hit show Game of Thrones held at the TCL Chinese Theatre on Monday (March 18) in Hollywood. The 26-year-old English actor was joined by his co-stars Aidan Gillen, Charles Dance, and Richard Madden. Glee‘s Jenna Ushkowitz and Kevin McHale were also spotted at the party, along with Alison Pill. Earlier in the day, Kit promoted the show during an appearance on Extra. FYI: Alison is wearing Palladium earrings.